Amazon’s Prime Day wants you to save a few quid on vegan jerky or a Blu-ray copy of The Human Centipede — questionable ways to celebrate even a made up holiday. But nothing Amazon has marked down comes anywhere close to the brilliance of Thanko’s new armpit air conditioners. We’ve all been there during the hot and muggy summer months, afraid to raise an arm to hail a cab or reach for a subway handle for fear of revealing our sweat-soaked armpits. We all sweat, but for some reason, it’s still a natural body function we’re embarrassed about. Until now the solution was to simply never leave your home (why do you think blogging was invented?) but Thanko’s Armpit coolers will let you step outside with confidence. 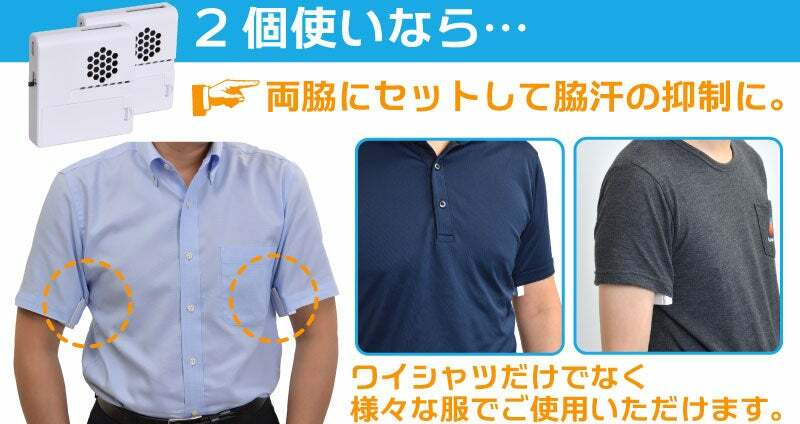 They easily clip to a shirt sleeve or other parts of your garment to direct a cool, refreshing breeze towards your underarm cesspools of smelly bacteria. Powered by two AAA batteries each or a USB connection to a laptop or other power source, the coolers will continuously run from five to nine hours depending on which of the three intensity settings you use.